14,000 years ago, the South Island’s Fox Glacier retreated and left behind a depression that was then filled with water. 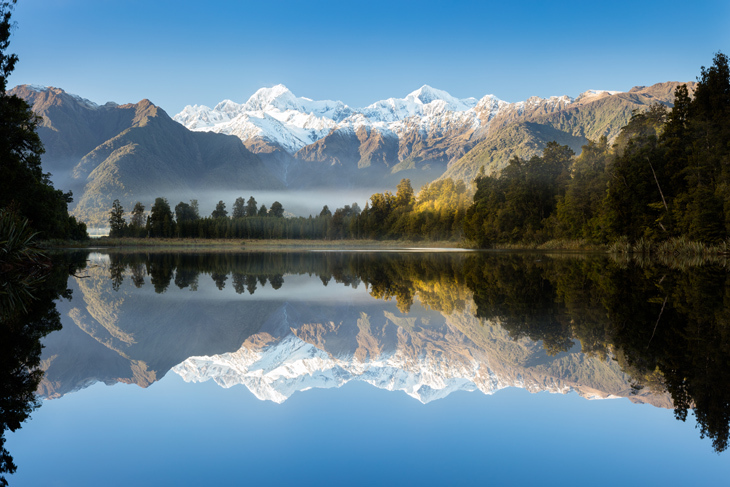 Today, Lake Matheson sits just 12 km from Fox Glacier surrounded by an ancient forest of rimu and kahikatea trees. With its resident long finned eels and water birds, this tranquil spot was used as a mahinga kai (food gathering place) of the Maori people. An easy walk across the Clearwater River suspension bridge brings you to the lake’s dark brown waters that act as a perfect mirror for the adjacent mountain peaks, Mt Cook (Aoraki) and Mt Tasman. The water’s colour is due to a natural leaching from the forest floor with dawn and dusk being the most sought after times of day to experience this phenomenon. 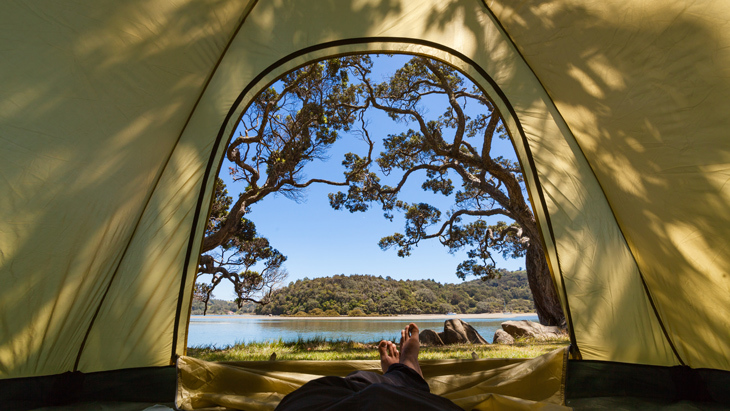 Boasting year-round warm weather, the perpetually summer Bay of Islands lies three and a half hours north of Auckland and affords opportunity for both adventure and relaxation. There are 144 islands in this sub-tropical micro region, the first part of the country to have been visited and settled by Europeans. 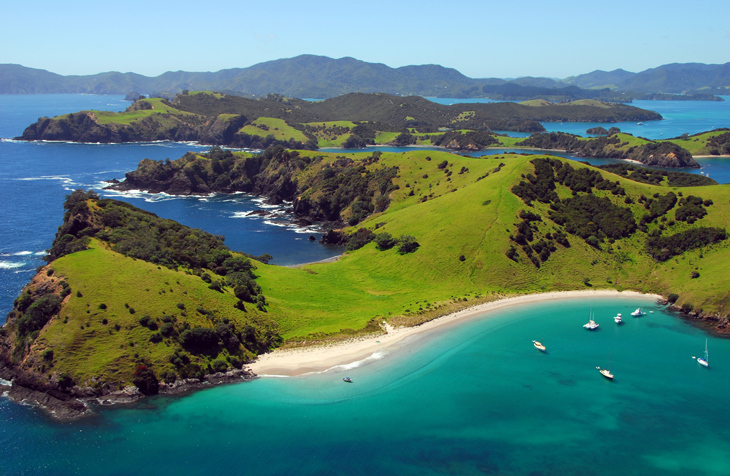 Captain Cook bestowed the name “Bay of Islands” and the country’s founding treaty of Waitangi was signed here in 1840. Using Paihia as a hub, today’s visitors may enjoy activities such as kayaking, parasailing, fishing, and yachting in stunning turquoise waters. Resident wildlife of the islands includes dolphins, gannets, penguins, marlin, and whales. In the Bay of Islands, one may readily explore numerous walking tracks and beaches, discover boutique towns, each with their own flavour and history, and enjoy fresh locally caught seafood at abundant eateries. The adventure capital of the South Island, Queenstown is located on the northern shore of the South Island’s Lake Wakatipu, which is surrounded by tall alpine peaks, including the aptly named Remarkables. 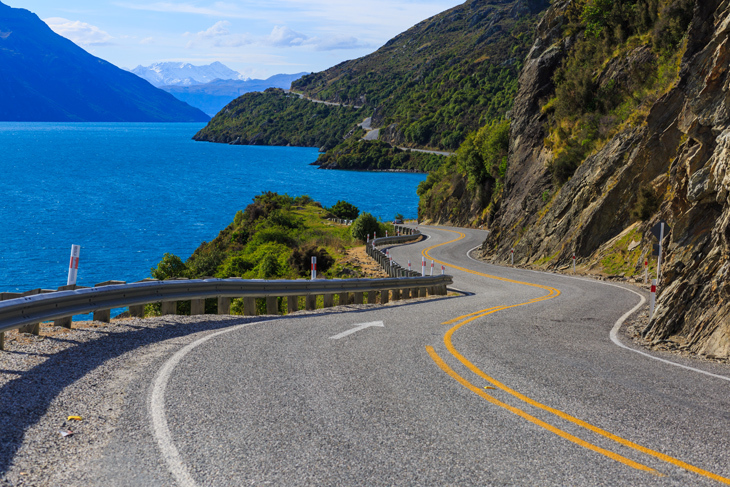 Wakatipu is 80 km long – the country’s longest lake, and it’s 370 metres deep – the bottom sits below sea level. This glacially-carved lightning-bolt-shaped lake is said to be purer than bottled water, yet it’s also very cold – about 10 degrees Centigrade. A standing wave ‘seiche’ phenomenon gives the effect of tides, with the water level changing by 20 cm every 27 minutes. Queenstown is known as the birthplace of bungy jumping, and some of the scenic drives of the area are among the highest rated in the world. A 120,000-year-old dormant stratovolcano on the North Island’s western coast, Mt Taranaki (also called Mt Egmont) is one of the most perfectly symmetric volcanic cones in the world. 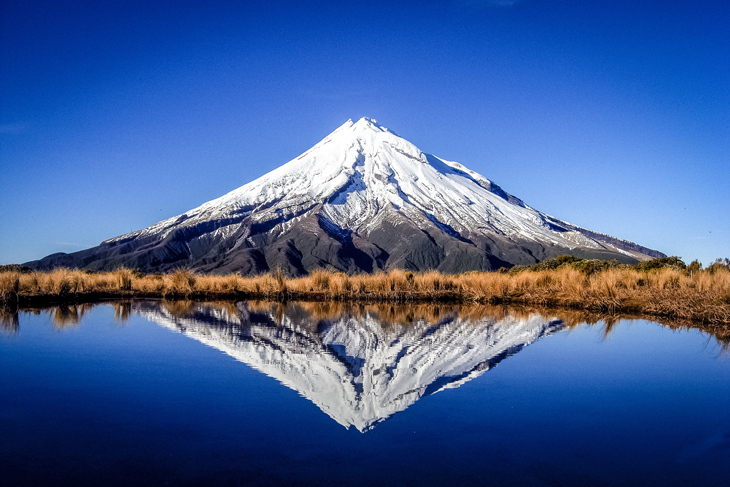 Known as Taranaki to the Maori people, the peak was named the Earl of Egmont by Captain Cook in 1770. In 1986, both names were announced official. Relatively quiet since 1775, Mt Taranaki is a frequently climbed mountain and, outside of winter months, is suitable for non-mountaineers. The peak is surrounded, within a six mile radius, by Egmont National Park, outside of which there are dairy pastures. Due to the region’s high rainfall and mild coastal climate, the park boasts lush waterfalls, old growth rainforest, and numerous swamps. 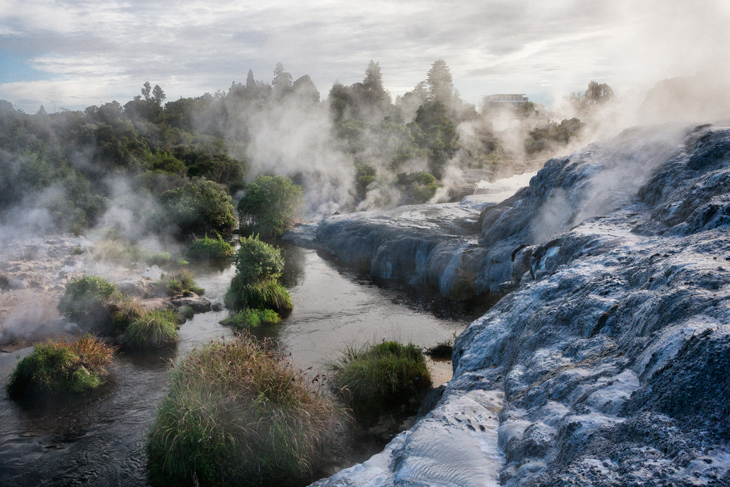 3 kilometres from Rotorua, within the Taupo volcanic zone, lies Whakarewarewa, a highly active geothermal region, as well as a traditional Maori community for the past 700 years. Here one may find seven active geysers, 500 hot springs, 65 thermal vents, numerous mud pools and colourful terraces. The largest geyser in New Zealand, Pohutu, erupts 15 times per day, shooting hot water 30 metres into the air. The Maori made use of the geothermal activity for heating and cooking, and the area was tapped in more recent times for geothermal energy – a practice which was ended in the 1980’s, when the features became noticeably diminished. 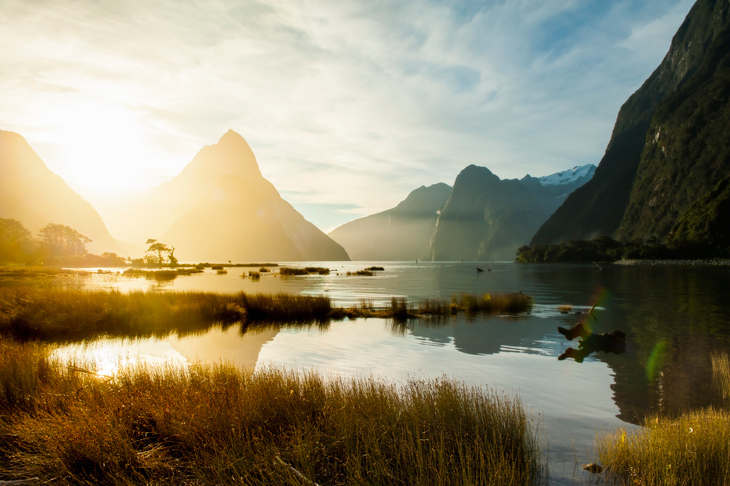 Jewel of the South Island and centerpiece of Fiordland National Park, Milford Sound is, perhaps, New Zealand’s most famous tourist attraction, despite being one of the country’s least explored corners until the 20th century. Carved by ice age glaciers, Milford is properly a fiord – an inlet of the Tasman Sea – and the only fiord in the park that can be accessed by road. Photogenic Mitre Peak rises nearly 1,700 metres above the deeply coloured waters, and the park is inhabited by fur seal colonies, penguins, dolphins, and black coral. Bearing the title of the wettest inhabited locale in New Zealand and one of the wettest in the world. Lush rainforests and abundant waterfalls produce nearly 7 metres of rainfall per year. Located within an hour drive from Auckland, Mahurangi Regional Park encompasses three peninsulas at the mouth of Mahurangi Harbour. The park straddles both sides of the Puhoi River, including Mita Bay and Sullivans Bay. The eastern portion of the park can only be accessed by water. Maori peoples lived here in several large communities and there are four fortified sites here today. The sea captain John Sullivan settled by the bay that bears his name in the 1870’s and his descendants farmed the land for nearly a century. Three sheltered beaches are excellent for swimming, with other popular activities including fishing, kayaking, diving, and camping. In the heart of the South Island, lies Lake Tekapo, with its milky turquoise waters a product of glacier siltation. 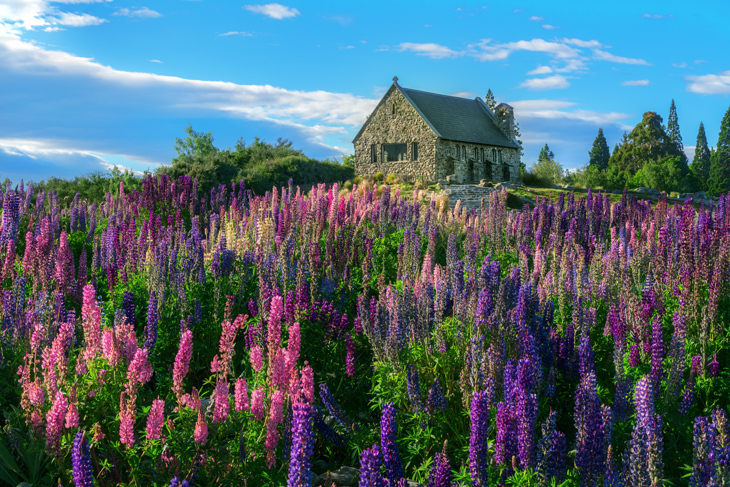 Due to the views of the Southern Alps, Lake Tekapo is a favorite stop on many itineraries. Built in 1935, the much photographed Church of the Good Shepherd was the first church built in the Mackenzie Basin and serves as a memorial to early pioneers of the region. The church receives many drop-by visitors, has hosted thousands of weddings, and holds interdenominational services at select times. Lake Tekapo enjoys many cloud-free days and thus, has also become valuable for stargazing. Serviced by frequent ferries from Auckland, balmy Waiheke Island is an easy and popular getaway destination. Waiheke is the most populated island in the Gulf of Hauraki and is well known for the beaches, vineyards, and artistic vibe. On the northeast corner of the island, gun emplacements and tunnels were installed during the World War, while today, over thirty boutique vineyards can be found on the island, and forty kilometres of beaches are perfect for swimming and kayaking. 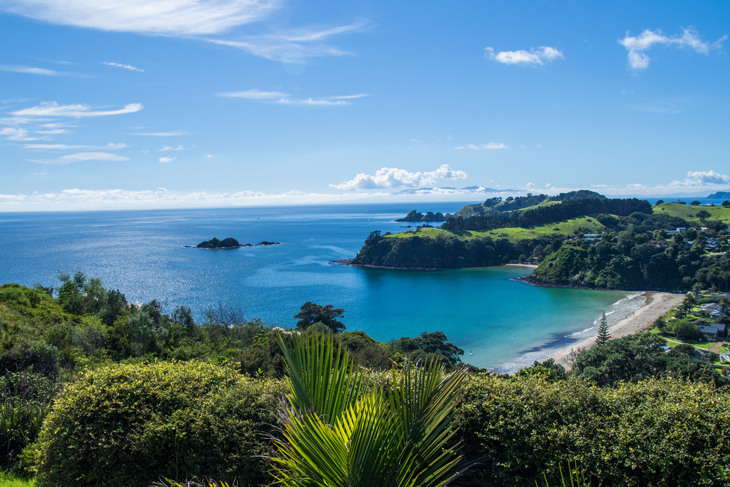 Well known beaches on Waiheke include Oneroa, Onetangi, and Palm Beach, all of which have shimmering white sands. The North Island’s 85-km-long Coromandel Peninsula separates Hauraki Gulf from the Bay of Plenty and is a miniature world itself, complete with a mountain range as its spine, art galleries, temperate rainforests, historic gold mining towns, as well as some of the country’s favorite white sand beaches. Named after a British ship that called at Coromandel Harbour in 1820, the easily reached peninsula is popular with Auckland locals and international visitors alike. 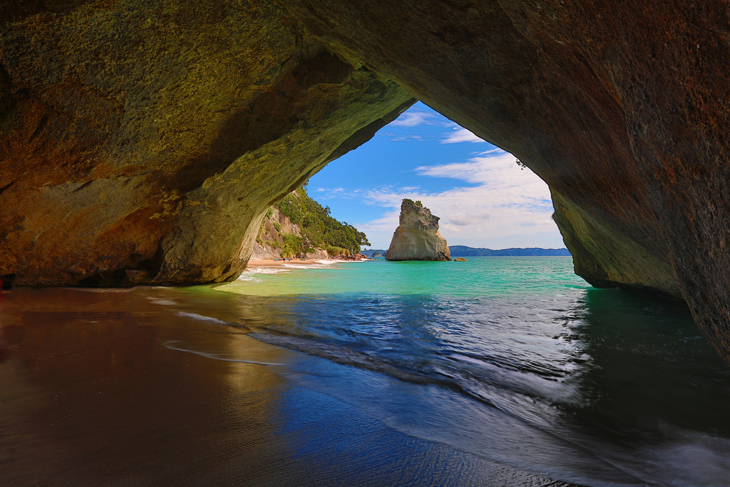 A key attraction of the Coromandel is Cathedral Cove, marked by its iconic white rock natural archway and turquoise waters. The cove can only be accessed by an hour hike or by water and has been part of Te Whanganui-A-Hei Marine Reserve since 1992. A key attraction of the 18-square-kilometre Waiotapu geothermal area, Champagne Pool’s waters are briskly bubbling, due to carbon dioxide, and its brilliant orange hue is a result of an oversaturation of metals that form deposits around the pool’s edge. 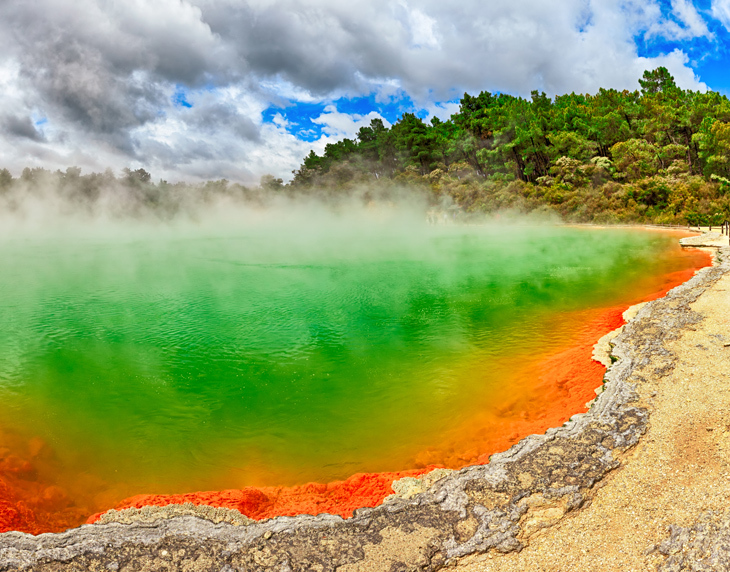 Its name translates to ‘sacred waters’ and Waiotapu sits in the Taupo Volcanic Zone, 27 km from Rotorua an area known for colourful hot springs in blue, green, orange, and yellow hues, steam vents, and bubbling mudpots. The 65 metre wide and 65 metre deep pool was formed 900 years ago by a hydrothermal eruption. The lower depths are at 260 degrees Centigrade, while the surface is closer to 74 degrees. The other major attraction of Waiotapu is Lady Knox Geyser, which, due to human intervention, erupts daily at 10:15. New Zealand’s youngest National Park hugs the north end of the South Island’s coastline, and the adjacent Tonga Island Marine Reserve is home to fur seal colonies, penguins, and dolphins. Established as a park in 1942, to restrict further logging of the area, Abel Tasman National Park is named after the Dutch seafarer of the same name, the first European to visit the island in 1642. New Zealand’s most travelled Great Track is the 60-km-long Abel Tasman Coast Track. The full distance on foot takes 3-5 days, however, nearly every visitor hikes a portion of it, often combining tramping with boating. 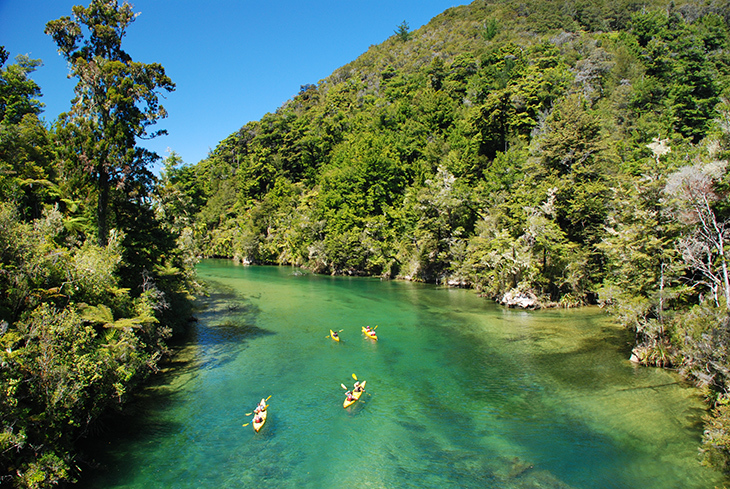 A popular option in Abel Tasman is exploring the coast by sea kayaking, and also, on the rivers within the park. Options available included taking a guided tour or renting a kayak and taking off on your own.